Surrey Docks councillor Lisa Rajan will join thousands of other runners in the London Marathon this Sunday. The marathon route passes through the borough starting at Lower Road and works its way around the Rotherhithe peninsula and Bermondsey before heading over Tower Bridge into the City. 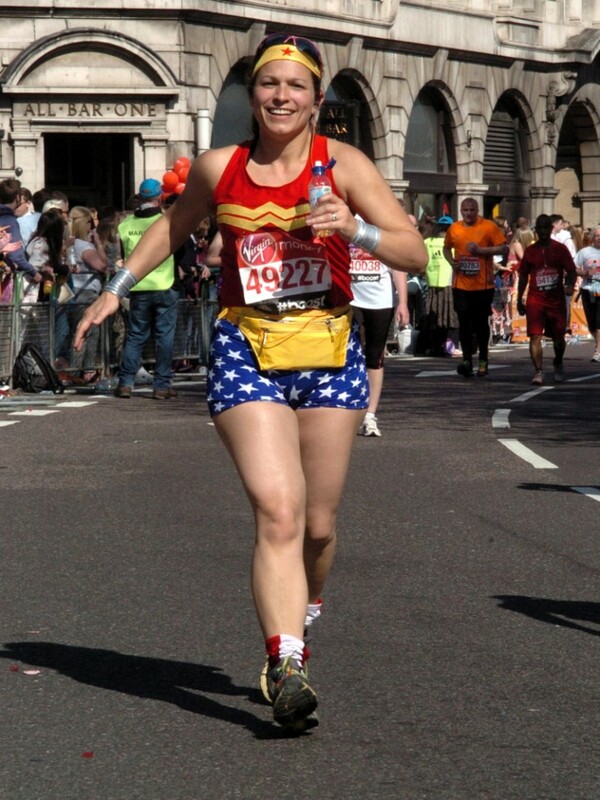 But not content with completing the course in regular sports gear, Cllr Rajan has chosen to run the 26-mile course dressed as super-hero Wonder Woman. “For the second year running, I am dusting off my favourite Wonder Woman outfit and embarrassing myself in front of Southwark residents,” said Cllr Rajan. “I’m not looking to break any speed records but I do hope at least to make it to the finish line ahead of any rhinos or bananas! “This year I’m running it for a brilliant charity called ReverseRett. “They fund research into the devastating rare condition Rett Syndrome, which causes severe mental and physical disability in young girls around their first birthday.